Waterproofing means protecting the elements of a building against unwanted passage of liquids and / or vapours, extending its serviceable life. Regardless of the chosen solution, a waterproofing coating should retain its characteristics when subject to mechanical actions and / or of atmospheric agents. Failure to observe this requirement may lead to high repair costs, caused by the renewal of waterproofing coating and the repair of affected areas. 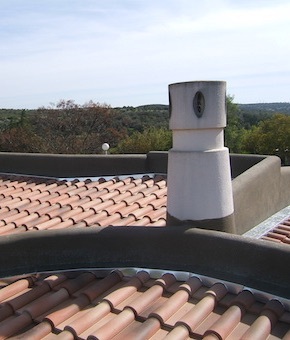 Roofs are crucial to protect a building, thus it is essential to ensure their waterproofing. Problems existing in these zones lead to the appearance of serious problems in the constituent elements of your home. 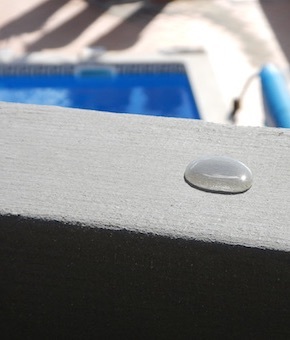 The sub-horizontal disposition of layers that form a terrace / balcony coverage makes the contact of rain more prolonged than in a roof, favouring infiltration in the support, typically in concrete. Consequently, besides the need to create the conditions needed to drain water (through a shaped layer with a minimum drop) and guaranteeing a sufficient number of downspouts, it is necessary to apply waterproofing coating with adequate characteristics for the future use of the space. The facade of a house generally has a wide range of different elements and materials: doors, windows, joints, several coatings, etc. Each of these materials has a different performance in the presence of water: some are permeable, others are totally impermeable and others still are permeable only to vapour, but not to water. It is necessary to understand the function of each constituent element of a facade to be able to act correctly to correct or prevent the occurrence of a given pathology. 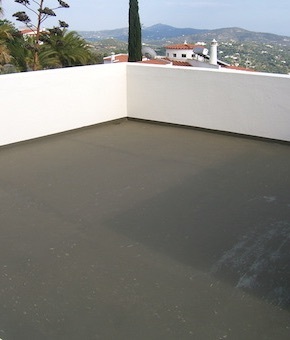 A swimming-pool is an impermeable tank with the aim of containing water, and must meet the following requirements: be watertight; bear the actions they are subject to; keep the good quality of water and meet the aesthetical standards of its users. They are generally located in the outside, thus the waterproofing systems must be resistant to atmospheric agents and agents used to treat water. In the special case of drinkable water reservoirs it is crucial to use waterproofing products does not alter water potability.